Getting done with GDPR compliance shouldn’t be a struggle for businesses. It is a new rule which should be adopted by all the organizations processing users’ personal information. Since the latest data privacy law has been enforced, there are many firms that are making a hype that tying up with this new regulation is daunting. But no! This is not right. If you are consulting with a trusted data protection firm, it will never be a stressful task for you. Do you know that there is detailed checklist entailed by legal authorities to guide business throughout the GDPR compliance process? By going through the checklist, you will find the exact solutions and highlights that need to be considered for better results. Gain management support to get GDPR compliance for your project. Get brief management on the GDPR risks & benefits. Assign an officer with the accountability to GDPR. Merge data protection risks with corporate risk management & internal control framework. Appoint & train a project manager to attain desired data privacy results. Identify which entities would be involved in the process. For example, territories, business units & jurisdictions. Evaluate other standards or systems that can be involved to provide an accurate framework for compliance. For instance, identify ISO certification if you gained it for security best practices. In-depth assessment of data protection by design/by default based on current and new processes. Assess the categories where your data is stored. Especially, the centralized location and the lawful basis of data processing. Map data flow within your organization. Use the mapped data to identify the risks arise during your data processing activities. This step involves the process to audit your current data privacy position against exact GDPR requirements. Identify appropriate compliance which requires remediation. Develop a documentation where the aspects related personal data processing are described on the basis of gap analysis & in-depth audit. Prepare or make changes to the data protection policies & notices by keeping GDPR standards in mind. When it comes to users’ consent, make sure that the quality of consent meets new user requirements. Update and review customer employee and supplier contracts. Here, it is necessary to recognize and handle data access requests. A business should make sure that the responses for queries are provided within month. Next step is to determine whether there is a requirement of DPIA or not. Evaluate the ongoing mechanisms to know whether data transfer outside EU is compliant. Develop an information security policy. Put in place basic technical controls like the policies that are specified by established frameworks like Cyber Essentials. Use data encryption or pseudonymization when necessary. Make sure that the prepared policies & procedures are appropriately placed. This helps to detect, investigate & report personal data breach issues. GDPR is all about making changes in data privacy policies thus, make sure that you are establishing effective internal communication with staff & stakeholders. For better GDPR compliant results, you need to make your employees aware of the importance of data protection. They should be trained for the same by defining the basic principles of GDPR and relevant implementations. Make a schedule where regular audits related to data processing activities are held. Keep all the personal data up to date. To get absolute data protection for your business, you need to prepare a self-assessment toolkit. This toolkit will help you assess your data perfectly as per the new Data Protection Act. It also describes you the steps involved to make data GDPR compliant. Better information handling provides adequate outcomes and also ensures good business sense. Using this technique, you will be able to enhance your business reputation and reach. Besides, your employees and other associated people will feel confident after getting the deep insights of the stored data. If you deal over call, emails or other electronic mediums, it is mandatory for you to comply with legitimate Electronics Communications Regulations. If you own a business which is concerned with environmental activities, you should work to get compliant with environmental information regulation. Handling personal data is not easy. If you are doing it, you need to secure it by opting General Data Protection Regulation compliance. To get this done, you need to pay a desired amount to the associated GDPR authority. Remember, if you will ignore the new data protection act, you may face a huge penalty for not adhering to the enforced law. 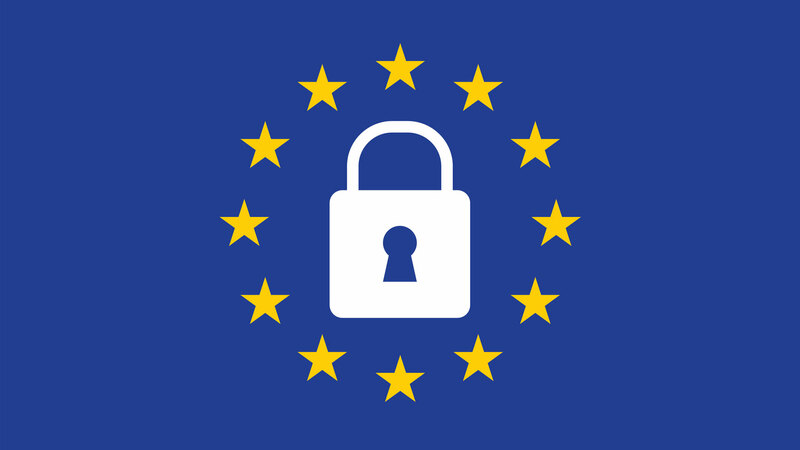 If you are still confused about anything, connecting to a reliable GDPR compliance solution provider will greatly help you. Every business in different but, when it comes to GDPR compliance, all businesses are to be treated same. Data protection act will be equally applied to all the domains that are processing individuals’ data. Entrepreneurs who don’t have any idea about it can have a look at the GDPR compliance checklist. It will let them learn the deep aspects of data and protection strategies. The detailed checklist also makes readers learn about what to be considered while implementing the GDPR strategies. So, don’t waste your time in thinking too much about the concept. Rather, get up and start working on your core data protection areas through GDPR compliance.